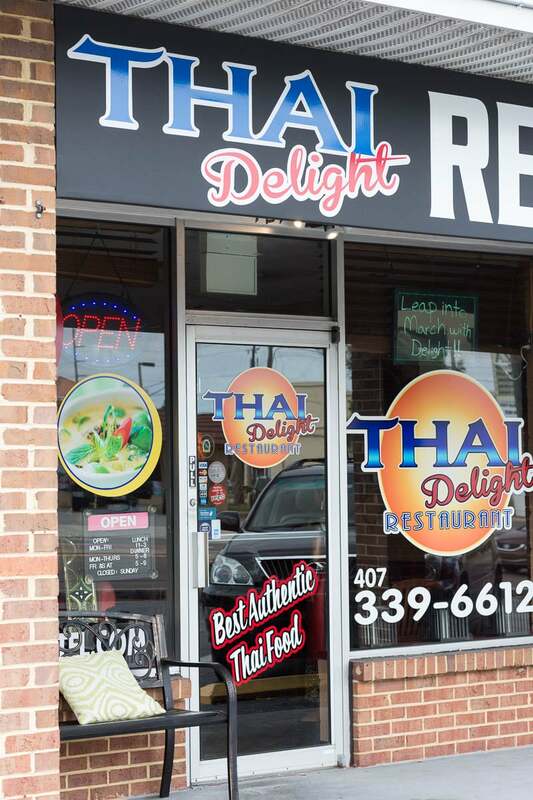 Visit Thai Delight in Longwood, FL, just east of Orlando. Once I find something that I like, I rarely deviate from it. This applies to clothing (black t-shirts and blue jean shorts), tea (Palais des Thes), and food. Guess which menu item I order at my favorite sandwich shop? Roast beef and cheddar, the same one I’ve ordered for the last, oh, fifteen years or so. It’s not that I don’t like to try new things. I love to try new things. I just don’t want them to compete with things that I already love. So, last year I discovered a local Thai place that I loved, called Thailicious. Their crispy duck was off-the-charts good. I knew that there was a second well-renowned Thai restaurant nearby, but I never went there because I was staying loyal to my favorite crispy duck purveyor. One day I mustered up the courage to forgo my usual place and try the competing Thai restaurant. To do this, I not only had to navigate the same neighborhood, but I also had to drive directly past Thailicious to get there. 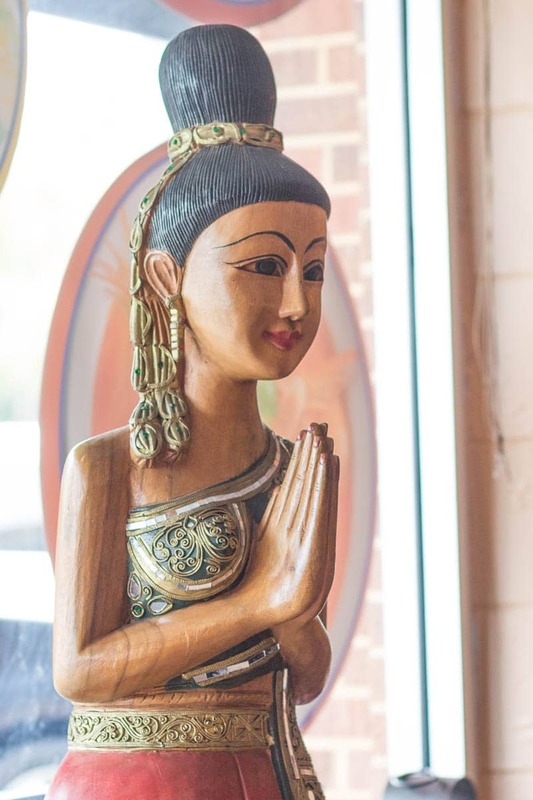 Thai Delight is located in one of those unassuming old strips of small businesses. If you didn’t know it was there, you might not notice it at all. Don’t let that stop you, though. In fact, get there early before the handful of tables fill up with the in-the-know lunch crowd. 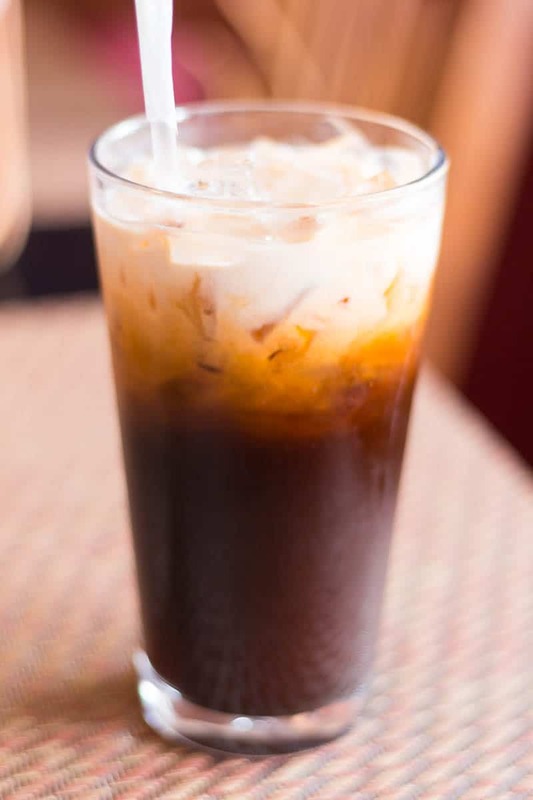 I’d never had Thai tea before, but I ordered one in addition to my usual Diet Coke because I’d heard that if you like masala chai, you’ll like Thai tea. I suppose it was similar to chai in that there were some spices combined with tea and some form of milk, but it was a completely different animal. It was very sweet, as sweet as Southern style sweet tea, but much thicker. The spice was subtle. If you like really sweet iced coffee, you’ll love this. 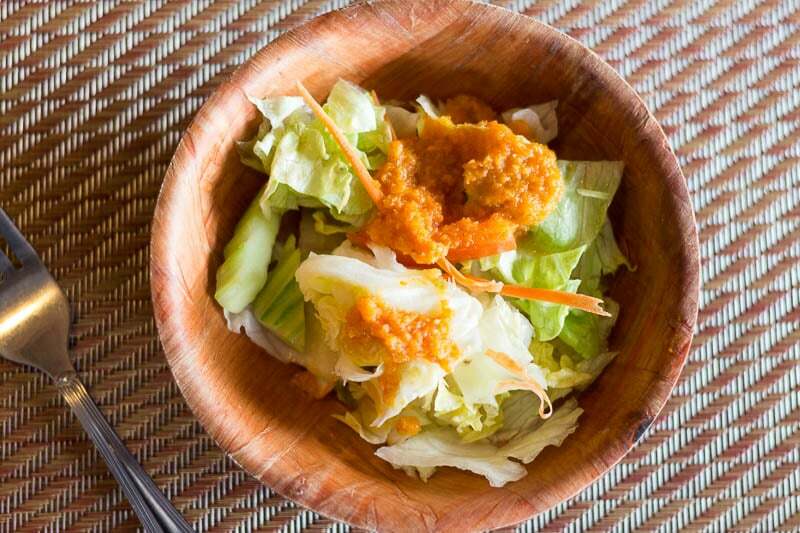 Like many Thai restaurants, Thai Delight serves a palate cleansing salad before your entree arrives. Made with iceberg lettuce and carrot shreds, it was simply dressed with a dollop of carrot and ginger based puree. Of course, Thai food is famous for its spice. You can order most dishes mild, medium, hot, or Thai hot. I love spicy food, but I’ve never been brave enough to try Thai hot. Perhaps with a gallon of Thai tea standing by, I might be more adventurous. I ordered mild pad thai with pork (pictured at top), figuring that I’d scale up the heat on a future visit. The pad thai was generously portioned and topped with very fresh vegetable garnishes. The noodles were pleasantly sweet and peppery. Small, well-seasoned nuggets of pork were nestled throughout. I also ordered the crispy duck. I think there’s a law somewhere that says I have to, and I do try to avoid breaking laws. The lightly breaded boneless duck pieces were indeed crispy, and they rapidly soaked up the radiantly flavored coconut based curry. There were elegantly cut carrots and other vegetables, such as bell peppers, bamboo shoots, and baby corn mixed in as well. This dish was also served with a pristine pilaf of jasmine rice on its own plate. I loved every minute of this lunch. Judging by the rapidly filled tables, I think that many locals share the sentiment. I’ll be back for more, and next time, I’ll be brave and try it hotter. Previous Post: « Honey Processed Coffee: What Is It and How Does It Taste? I love Thai food so much! This post reminded me of how much I miss eating it… And now I’m really hungry. 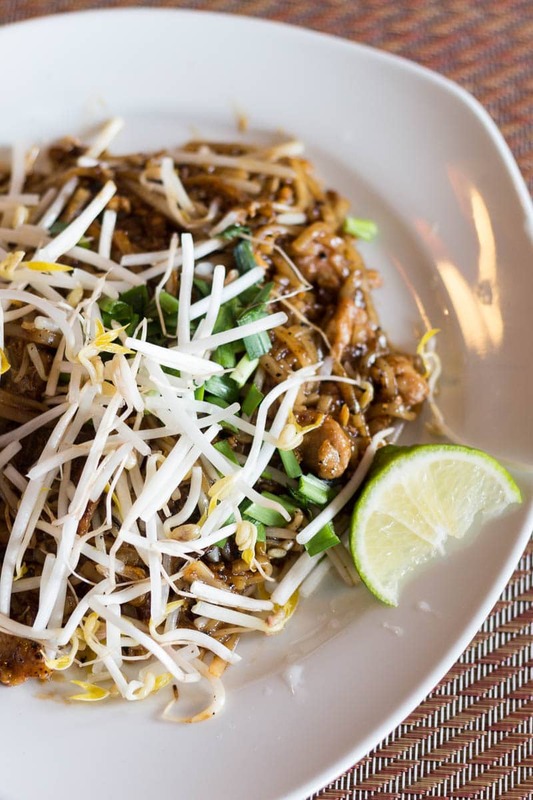 When I was in college, I lived near a really good Thai restaurant, and that’s where I discovered my love for not only Thai food, but Pad Thai in particular. SO. Good. Heck yeah. Pad Thai rocks! I’ve always loved Thai food. I was in love with it from the first time I tried it years ago. Thai Delight looks like a fantastic place to hang out and enjoy some authentic Thai yumminess. It’s one of those restaurants that I could just sit in for hours. 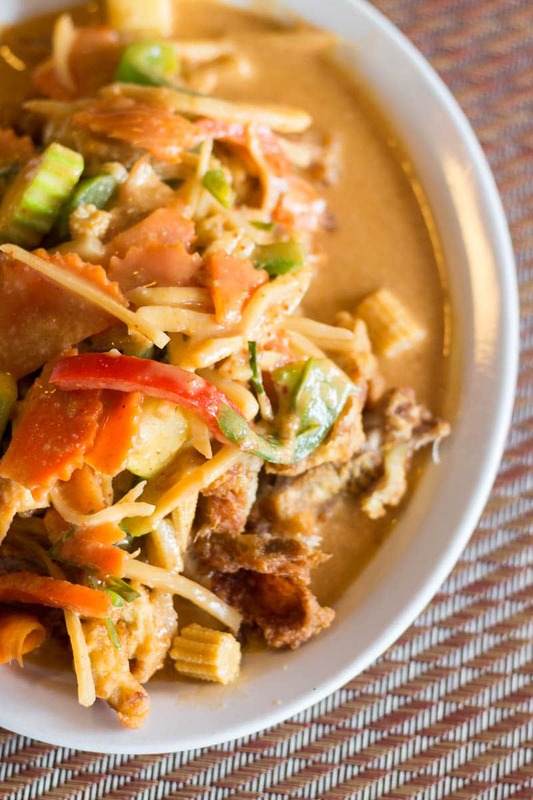 I’m typically not one who likes Thai food, but your write up literally had my drooling. Great photos and descriptions that are making me want to pig out and call my local Thai place, and stat! Always love hearing about great restaurants–now I just need to fly to Florida in order to experience it myself. Time to buy that plane ticket! Just kidding. But seriously, try your local Thai! I too am definitely a creature of habit myself. I have never had thai food, I rarely eat take out at all. The way you described the food really made me feel like I was there immersed in the experience and tasting the flavors. I think I may rethink the whole thai food thing. Awesome. I’m glad the experience came across, and I hope you get to try some Thai food! I’m probably a total freak but I’ve never tried Thai food before. I’m one of those people totally afraid to try new stuff but those dishes look so delicious. We’ll actually be in the Orlando area in December so I’m gonna bookmark this so I can remember to give it a try while I’m there. Thalicious?! That’s a brilliant name!! I’m a sucker for pad thai but mainly because I can’t take the heat of many other thai dishes! I find that even if I order them ‘mild’ they are still way too hot for my liking! So true! In some Thai places, “medium” actually means “mouth fire.” Around here the trick is to say “No spice” instead of mild, because “mild” still means “kinda hot”! My husband loves Thai food and this food looks amazing. I am going to save this so that I have it for when we are on vacation in Orlando. That drink looks super delicious and sounds like something I would want to order. oh you sound like me with food and things. i am so boring my kids say. But once I find something I like – I don’t change too much. I love Thai – there used to be a great place by us – but it closed!! I have yet to replace my favorite thai night either ! I wish we lived closer! Bummer! I hope you find a new Thai place. Or maybe look for a different Asian restaurant? I love Vietnamese food, too. And authentic Chinese. We’re lucky to have a real Szechuan and a real Cantonese place relatively close. Shockingly, my husband and I have never tried Thai food. He is a big lover of Chinese takeout but for whatever reason we have never thought about trying out an authentic Thai restaurant, most likely for fear of trying new things. You trying out a new place where you live has inspired me to talk him into giving it a try the next time we are eating out. Oh, yes, give Thai a try! You won’t regret it. If you like Chinese food, you will find much to love at a Thai restaurant.